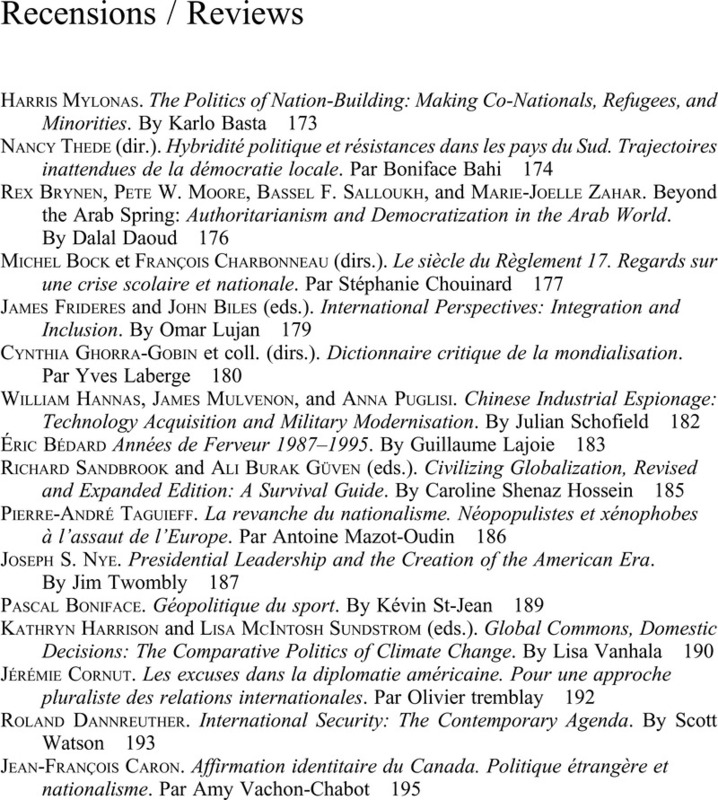 The Politics of Nation-Building: Making Co-Nationals, Refugees, and Minorities. Harris Mylonas. Cambridge: Cambridge University Press, 2012, pp.280.